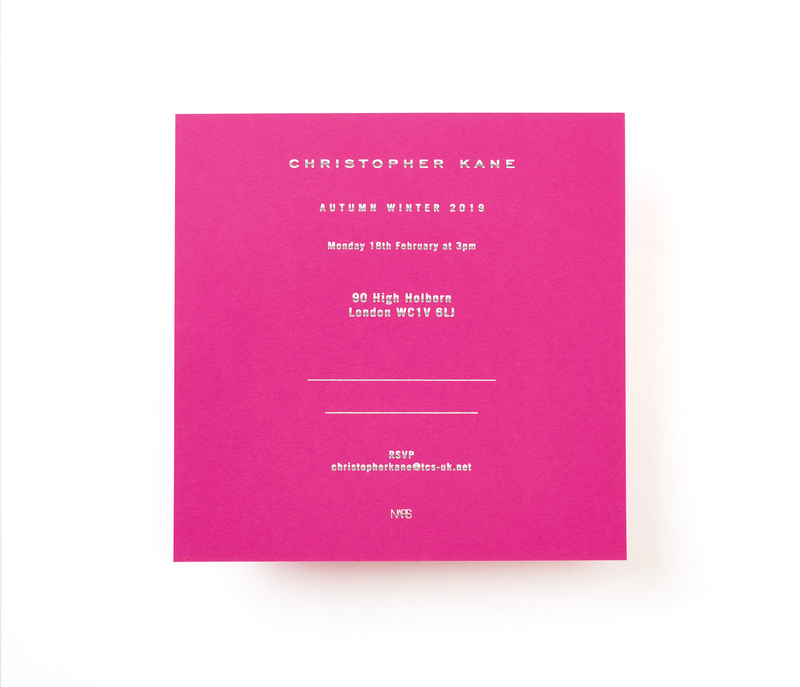 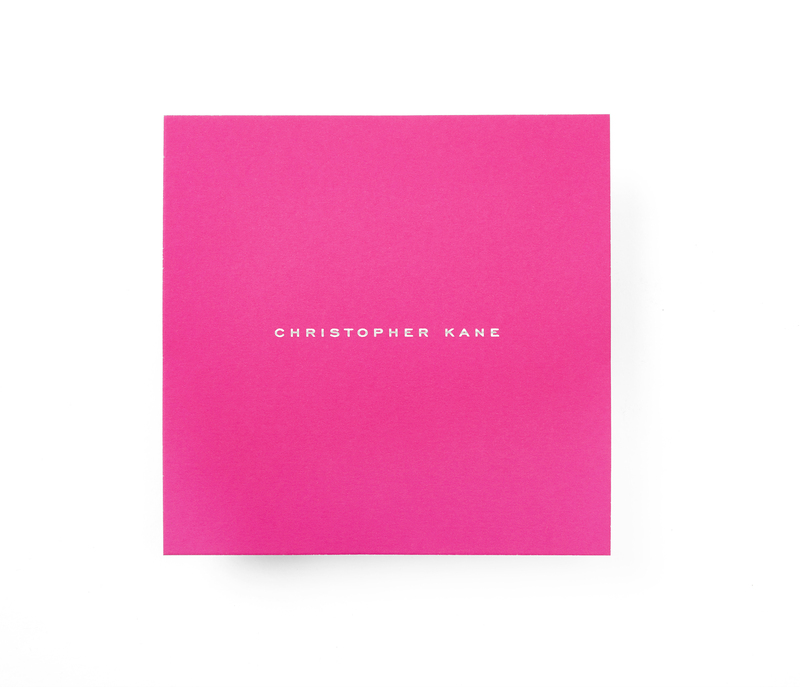 Christopher Kane is a designer full of colour and this event invitation undoubtedly radiates his ‘pop bright’ formula. 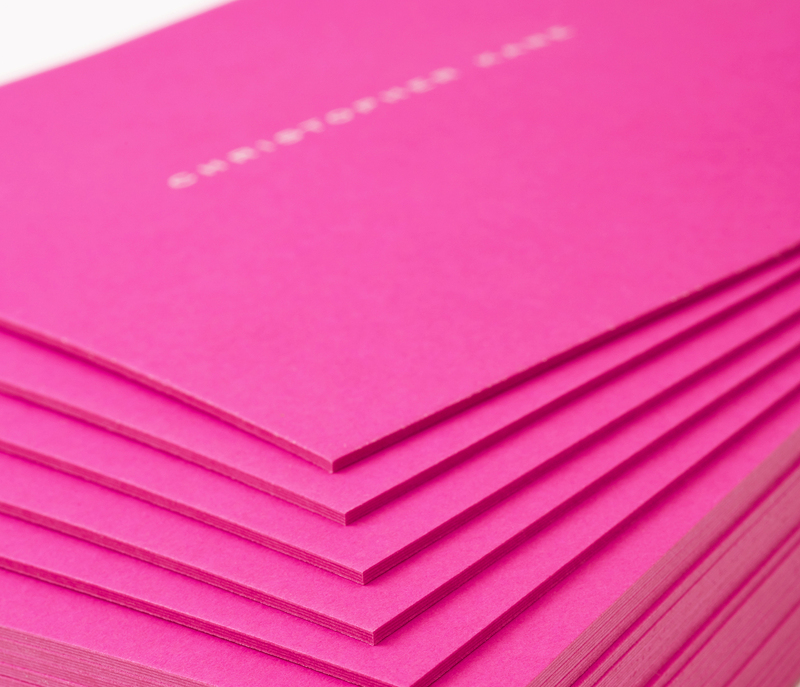 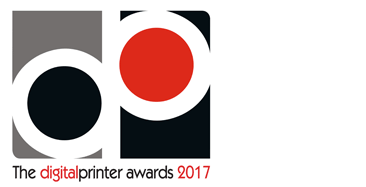 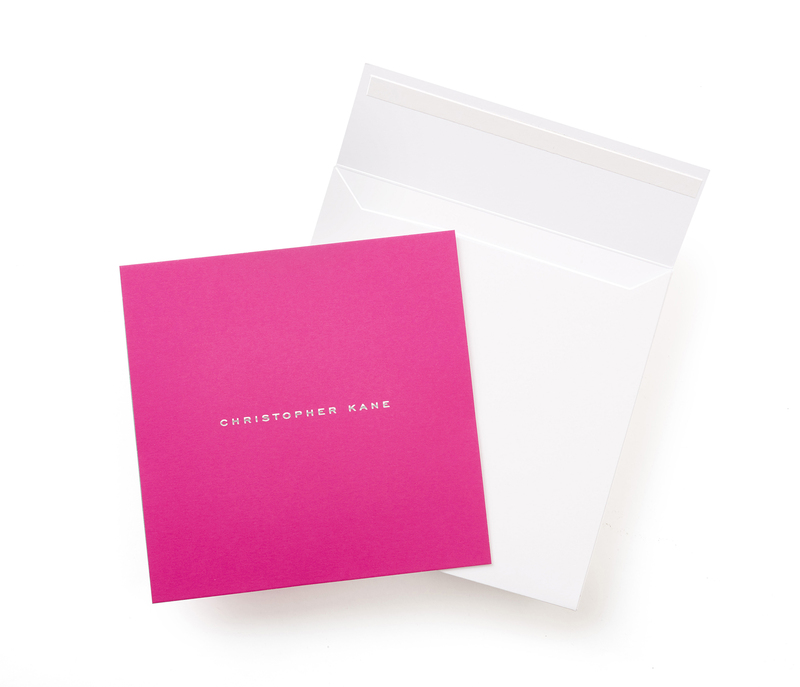 This gorgeous invite is on 240gsm Popset Cosmo Pink, then quadraplex to make a sturdy 960gsm. 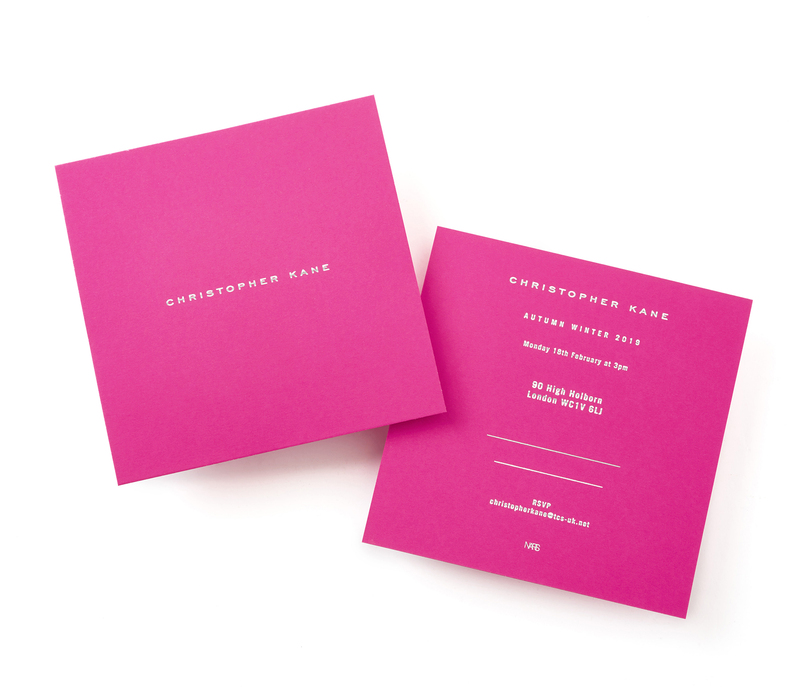 Without doubt, it feels special to touch! 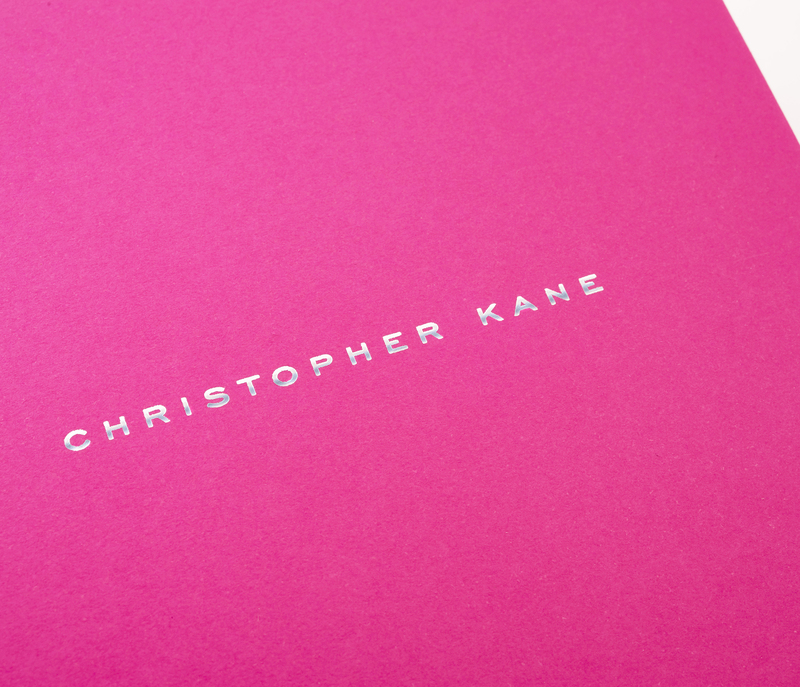 Finished off with Silver matt foil to both sides, this is a highly sort after invitation.